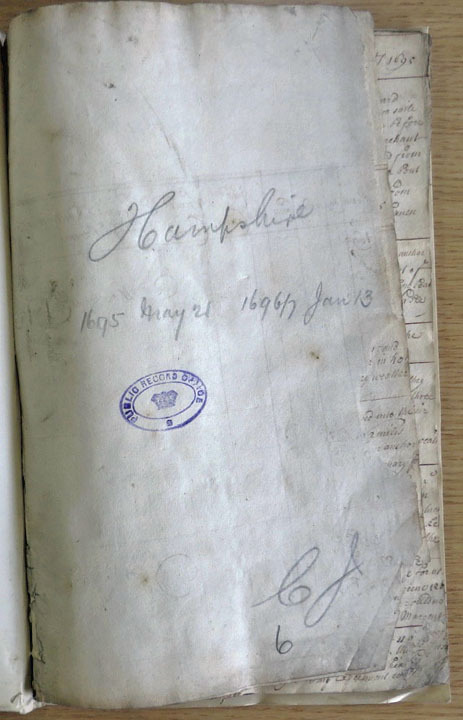 1696 Hampshire returns to England - Check Mate! Cape Mayze, Island of Cuba to the west. Cape St. Nicolas, Island of Hispaniola to the east. At the Harbour of Port Royall, Jamaica -- July 27th, 1696 Capt. John Fletcher records in his log "This day recd ordrs from ye Lords of The Admty to make the best of our way for England --"
The Hampshire sails a northeast course along the Windward Passage headed for Crooked Island on the first leg of their return to England. 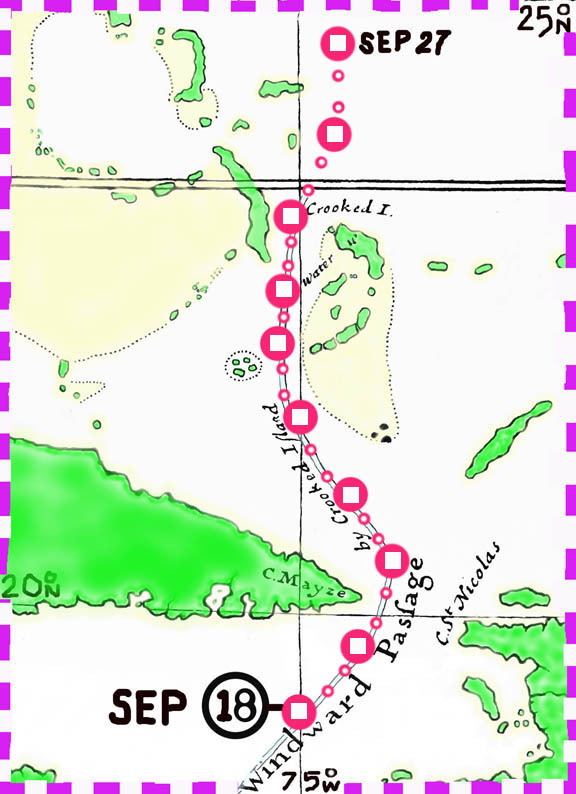 Fletcher knew that two days north of Crooked Island they would be in the Antilles Current. The next day Sept. 19th things did not improve as the ship faced “…a very hard "Turnada" continued for ye space of an hour”. The weather persisted and two days later “had a very hard "Turnada" , had to lay by an night”, and again on Sept. 22 “a very strong "Turnada" so lay by”. They finally arrived at Crooked Island Sept. 25 to “get water onboard”. Underway the next day they experienced “variable winds”, followed by two more days of “small gales”. On Sept. 27, after a grueling nine day transit of the Windward Passage Hampshire started to ride the Antilles Current northwest toward the Florida Straits and the Gulf Stream.